Welltech Systems is an exclusive manufacturer of Bath Room Doors made of aluminum powder coated framing and solid PVC sheet. Our bath room doors are excellent structured designed makes it look elegant and suitable to all residences, hospitals, hotels, etc. 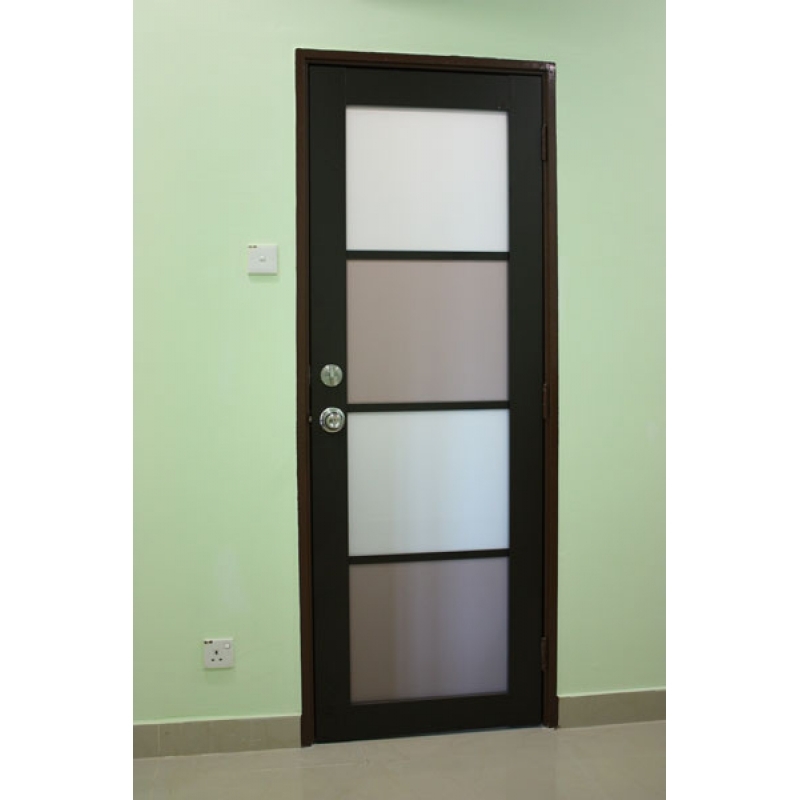 Our bathroom doors are made of Aluminum Frame, light and low maintenance and most important it is water proof. Bathroom doors are relatively smaller than in size than other doors in any home gives a choice to maximize the door opening space. When you have a bigger size bathroom sliding door is the best as it opens up your door space fully. Openable door among all other types of doors, consume the most space of the opening. Hotels generally opt for glass door that add’s modern design tobathrooms. This entry was posted in Uncategorized and tagged aluminium bath room doors, aluminium bath room doors hyderabad, Aluminium Doors, aluminium fabrication products, swing bath room doors hyderabad by Welltech Systems. Bookmark the permalink. good, Please tell me price of it.